Στην περιοχή Μπιρα, το Baracoco Bungalows αποτελεί ιδανικό σημείο για να εξερευνήσετε την πόλη Τανέτε και τα περίχωρα. Από εδώ, οι επισκέπτες μπορούν να έχουν άμεση πρόσβαση σε όλα όσα η πόλη έχει να προσφέρει. Με την βολική του τοποθεσία, το ξενοδοχείο προσφέρει εύκολη πρόσβαση στους προορισμούς της πόλης που πρέπει οπωσδήποτε να δείτε. Οι εγκαταστάσεις και οι υπηρεσίες που παρέχει το Baracoco Bungalows διασφαλίζουν την ευχάριστη διαμονή των πελατών. Κορυφαία χαρακτηριστικά του ξενοδοχείου συμπεριλαμβάνουν τα ημερήσιος καθαρισμός, 24ωρη ρεσεψιόν, ασύρματη σύνδεση Wi-Fi σε δημόσιους χώρους, χώρος στάθμευσης οχημάτων, μεταφορά από/προς το αεροδρόμιο. Επιπλέον, όλα τα δωμάτια διαθέτουν ποικιλία ανέσεων. Πολλά από αυτά παρέχουν ακόμη και λευκά είδη, καθρέφτης, ιδιωτική είσοδος, πετσέτες, ντουλάπα προκειμένου να ευχαριστήσουν ακόμα και τον πιο απαιτητικό επισκέπτη. Κατά τη διάρκεια της μέρας μπορείτε να απολαύσετε την χαλαρωτική ατμόσφαιρα των σνόρκελινγκ, καταδύσεις. Με την ιδανική του τοποθεσία και τις καταπληκτικές του υπηρεσίες, το Baracoco Bungalows θα σας ευχαριστήσει σε πολλά πράγματα. The owners are lovely people and extremely helpful. The rooms are generously proportioned and beautiful and are situated on the best part of the beach. Convenient for dive centres really close by. A very relaxing chilled out place and excellent value for money. A small food menu with other places to eat nearby. All in all a great place to stay if travelling to Bira, thoroughly recommended. The situation of the bungalows gave a lovely view. Being new they were clean and quite spacious. Owners friendly and helpful. Rooms are cozy, new and super clean. The bungalows are located on the best beach of this area , white sand, blue water and perfect sea view from the room. The food here is very tasty. The host is friendly and helpful. I will stay in this bungalow again when I go there next time. Highly recommend. This is a gorgeous place to be. The bungalows are big, clean and really nice. The bathroom is unique in Indonesia. And the view is fantastic. But the best of all are the owners of Baracoco. They are so nice and helpful. You really feel to be home. Thank you sooo much. It was a wonderful time. Although the location far from bira beach, but you can walk to bira along the beach or just ask help from the staff to send you there. Baracoco is a very relaxed small homestay on bara beach. The owners are wonderful and the bungalow - especially the roomy bathroom - are very comfortable. You can either eat dinner at Baracocos or you can eat out. I would definitely stay there again. Bara beach is outstanding. Nice new bungalows on the beach. There is also a small restaurant. Small breakfast is included in the price. Be aware of the mosquito's, take some protection with you. There are no shops on walking distance. We also saw some.monkeys and big lizards. Nice place and highly recommended. well, the bungalow was good. All rooms no Air-Con, but they have a fan. a lot of mosquito inside the room so pls bring the insect rellepent, or you can ask from receptionist.. there is nothing nearby hotel. no restaurant, no minimarket. so we have to buy our lunch & dinner at baracoco restaurant. the taste was good. luckily we bring some food and we can cook at the kitchen. suggestion : 1. pls bring insect rellepent or any mosquito gel 2. buy / bring a lot of food / snack & water from outside. anyway, will back next year to baracoco bungalows! Everything was beautiful. The rooms have a glass wall facing the unbelievable and clean beach. The service is perfect and handled with much care. Even the other gests were great. One thing only, if you want to go snorkeling don't take the service they offer. This French guy had a Broken boat with no stairs, we snorkeled in only one spot during the 5 hs trip and according to a driver, we overpayed tree times as much! Beauté du lieu, une équipe souriante et disponible, Jan le maître des lieux fera tout son possible pour vous mettre à l'aise et vous conseiller .... The place to be definitively !! Fijne en kleinschalige accommodatie geleid door een leuk stel (Jan en Rachel). Bungalows zijn eenvoudig, maar alles wat je nodig hebt is aanwezig. Elke ochtend wordt een ontbijt geserveerd. Daarnaast de mogelijkheid om te lunchen en dineren. Eenvoudig om een scooter of een bootje te huren om de omgeving te verkennen. Bungalows beschikken alleen over koud water (al is dat in de tropen niet echt een nadeel😁). 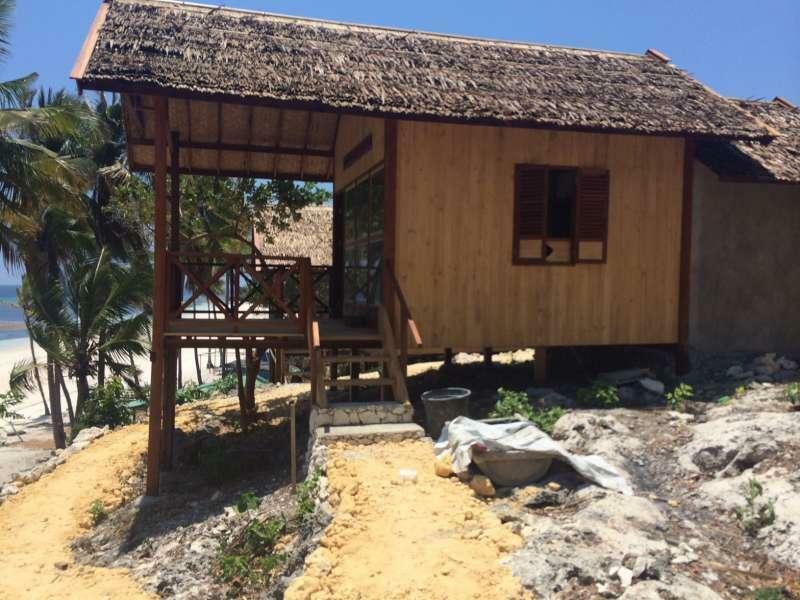 Kan Baracoco Bungalows echt van harte aanraden! !